Displaying 1-20 of 20 Found. 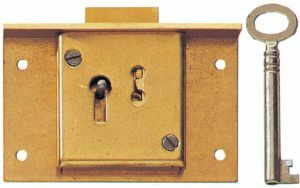 Single lever brass straight cupboard lock. Fixes directly to frame, throws both ways. Single lever cut cupboard lock. Either left or right hand throw (left hand throw shown). 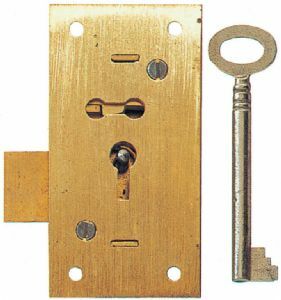 Solid brass plate & casing, 2-lever lock. 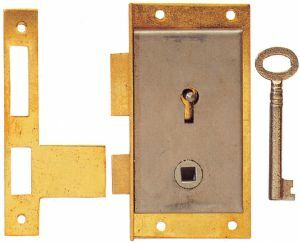 Solid brass plate & casing 2-lever drawer lock. 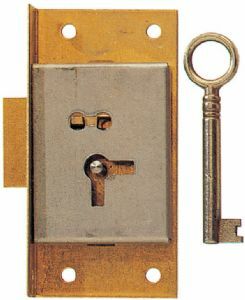 Single lever handed wardrobe lock to be used with wardrobe turn handles. 2 keys supplied.